As medicine advances, people in the United States are living longer and longer. As a result, the nursing home and long term care industry has grown dramatically. The majority of these facilities are for profit facilities and unfortunately, owners and operators of these facilities frequently place their own interests and profits ahead of the interests, quality care and protection of their residents. Nursing home abuse and neglect is the result. Unfortunately, patients at nursing homes and long-term care facilities, can suffer serious harm and death, if not properly attended to. Patients can suffer malnutrition, bed sores, physical and emotional abuse, falls, fractured bones and generalized sub-standard medical care and treatment. If you, a family member, friend or loved one have suffered injury or harm as a result of inadequate care/direct abuse at a nursing home or long term care facility, we can help you. We have negotiated countless settlements and secured verdicts on the behalf of those injured as a result of inadequate care at these facilities. Please call us to discuss your case. There is no charge for the call or consultation and we accept these cases on a contingent fee basis, which means we get paid only if we recover. 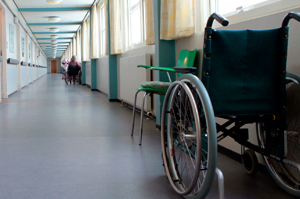 For examples of our success in representing individuals suffering injury or harm as a result of inadequate care in a nursing home click here.